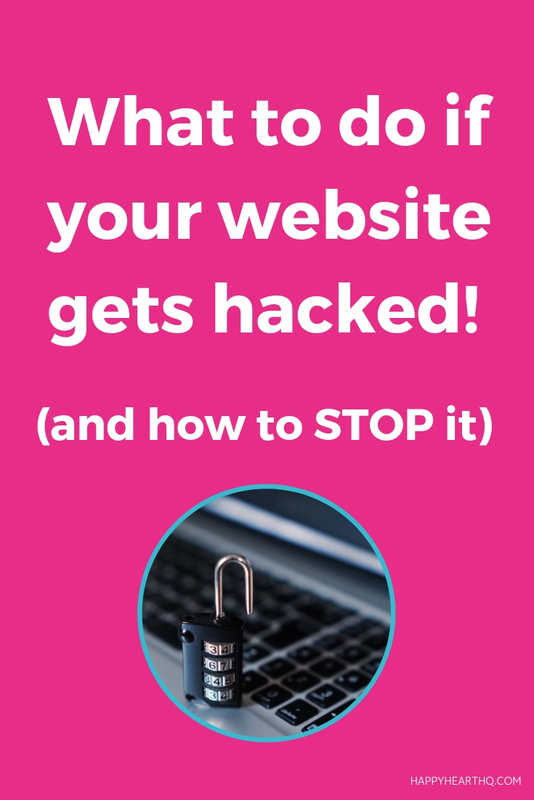 Imagine the moment… you get a call from a client who ‘cant get onto your website’ – you go and take a look and it’s been hacked! You will either been staring at a blank screen or even worse you are looking at someone else site – on your domain! This could even be a ‘shocker’ of a site one that you would be mortified to even be associated with! What do you do????? Panic – of course you are going to feel panicked after all you are not in control of your own website – where has it all gone?? Well I want you to STOP RIGHT THERE!.. This is sortable, devastating right now – YES but it can been resolved. Make a cuppa and breathe! Trying to deal with this is a blind panic will make you fuzzy headed. Contact your hosting company or web designer (if they are hosting it for you) The host is your first port of call to get this resolved! If your hosting company can’t resolve the issue then it’s time to call an expert! A web developer will be able to access files on your domain and host, identify the issue and get you back online!.. So here’s by 5 biggest tips to help you to prevent your website from being hacked. Ensure that you update your software, with WordPress you can update to the latest version. Update your plugins too but it’s important to check with your web designer first to check for any conflicts. Plugins can can be an easy target for hackers! Askimet is a great tool for reducing spam comments on your website, it filters the majority of them out and automatically deletes them so you don’t get your inbox bombarded! WordFence is the software that I recommend to provide an extra layer (firewall) to keep your WordPress website super safe. When using login names and passwords, make them unique and ensure they are strong and be careful who and where you share them. If you need to share anything confidentially Lastpass is a great tool to do this! I also recommend having a catch box on your website just to give it that extra layer of protection. Just like plugin if you are are gathering data on your site through contact forms or email software it is important to check that the connections can not easily be hacked, use verified plugins and email providers such as Mailchimp, Aweber or Constant Contact, they inference well with websites but it’s still important to keep an eye on everything and ensure you keep up with any updates. 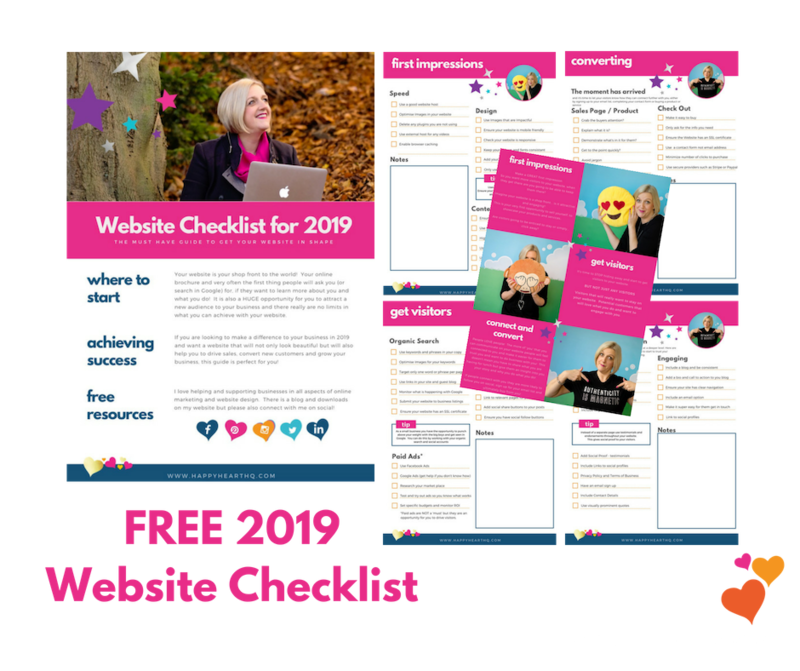 Your website should be the heart centre of your business online, it’s your shop front to the world and works best when you work with a platform that you own and have control of! Taking steps to keep your website up to date will really help with your website security – lets face it if you had a shop front you wouldn’t leave it looking tired with the shutters up and the door unlocked… would you?